Everyone knows it’s very important to strike a balance between content, monetization, and user experience. The truth is that this should actually be really easy. Simply provide great content, good ad experiences, and an easy-to-use user experience. This is the same formula you can use to increase ad revenue per view — or your earnings per session (EPMV) — but to break this down into easy-to-do steps you first must understand how to concretely understand these concepts as metrics. Below, I’ll walk you through how you can identify what visitors are making you the most money, how to get more of them, and how you can easily identify the content that is actually making you the most amount of ad revenue (HINT: it’s not the one you’re thinking about). A lot of smart publishers are already digging down into their metrics — through Google Analytics and AdSense linked together — and pulling out which pages on their site are their highest earning pages. This is great. This is where publishers have typically focused their attention to increase their ad revenue per view. Unfortunately, this is not the best way to do it and could actually be causing publishers to focus their attention in the wrong spots. Let’s say you have a site about diamonds… You made a post about the most expensive diamond ever sold. This page makes $40 on average, but users come and read it, then they leave (avg. pageview per visit = 1). Now, let’s say you wrote a series of articles on tips for selecting a diamond ring. Each of those pages may only earn $20 per page on average. But, users may visit multiple pages when they start on one of these pages (avg. pageview per visit = 3). This means that the page that averages 50% less earnings actually makes you 50% more per session. This means that you would be making significantly less if you were simply looking at your highest earning pages instead of your highest earning landing pages (i.e. 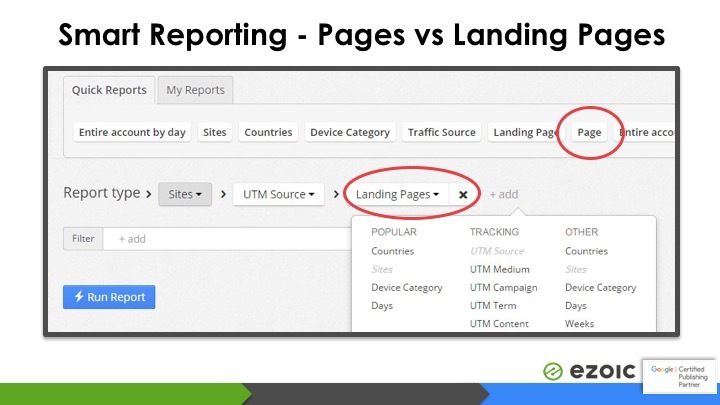 what pages visitors land on and what they bring in per session). 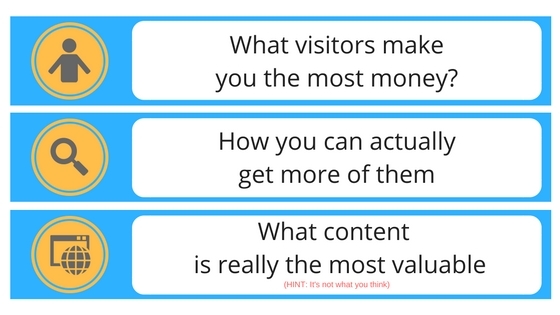 Visitors landing on your top landing pages are your most valuable users. They earn you more overall than any other visitors. You can draw reports to see this information using this free advanced reporting platform. You can also, tag up all of your pages and ad tags with separate, correlated extensions and link them with Google Analytics. Then you can extract this all into some kind of spreadsheet to do this same analysis. See more hack for improving website monetization using data. How do you get more of these valuable users? I’m guessing that you want to increase your ad revenue per view and would like to start with those most valuable users we just identified above. Good idea. This is the best way to start. The process is pretty easy. 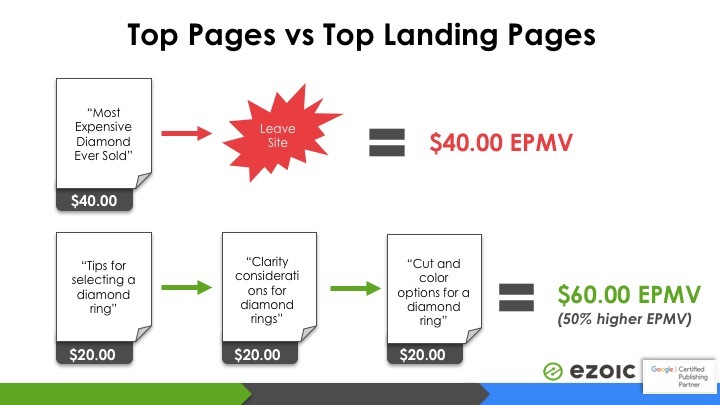 Identify what your top landing pages are and try to discern why these pages are earning you the most. They typically have the high pageviews per visit. 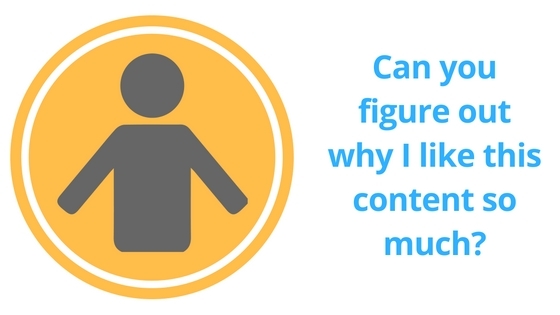 This means you should be able to determine why the content on these pages drives them to others. You can actually encourage this by following this proven guide to increasing pageviews per visit. To get more of these valuable users you should create more content that is like this valuable, high ad revenue per visit content. To go back to our example above, that diamond site may want to consider a series of articles on something like “how to select a diamond necklace”. This is spelled out above. If you’re having trouble wrapping your head around the concept, watch the video explanation above — and maybe go back and review the basic of how EPMV works. This will give you an overall better understanding of how to best track, increase, and affect ad revenue on your site. Hopefully, equipped with these tips, you will be able to increase your revenue per view —or session revenue.